Trade your boots for flip flops and head for the beach! 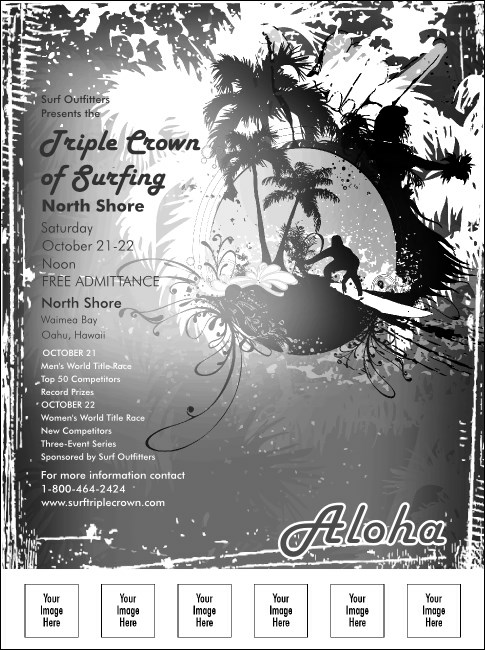 Wet and wild images of Hawaii abound on this black and white Aloha Flyer, which allows you to upload six custom images. Palm trees, flowers, and a carefree surfer are the symbols of a sold out island-themed event! Fast printing and shipping available. Create your own piece of paradise! Personalize with custom images at TicketPrinting.com.